This is the first book in a series of eight at the time of this posting. At the time that I prepared this post, this book was currently free on Amazon and Barnes & noble (links at the end of the review). “I raised my eyebrows in surprise. “Are you talking about Agnes Gardner?” I had a sneaking suspicion she was at the wrong visitation." This was a delightful read. It had me laughing throughout the whole book. I downloaded this book when it was offered at no charge. It took me a while to get to it, but I’m glad I read it. I think this series is along the lines of Janet Evanovich’s Stephanie Plum series. There’s plenty of mystery to keep you guessing with a little added romance. The story intrigued me from the start with it being set in Arkansas as I live in Arkansas. I didn’t really see anything glaringly wrong or anything that offended me (although I’m not a native Arkansan). I think if I had seen either of these things it would have made me stop reading. 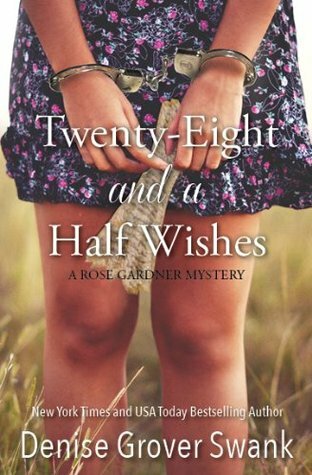 I love the main character Rose Gardner. She is so innocent. It is fun to watch her break free from her shell of innocence. Plus she is funny to boot. I will definitely be reading the other books in this series. The other characters are fun too. Henryetta is a town full of stories waiting to be told. I picked up this one when it was a freebie as well, Carey, but I haven't read it yet. I'm glad you had fun with it. Rose does sound like a fun character to watch blossom. And I love reading books set where I live (or lived). :D Great review! Yeah I like those characters that become like your IRL friends that you want to check up on periodically.